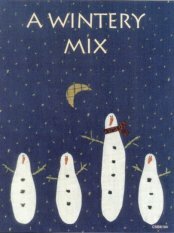 Pattern for a whimsical 5 1/2" Christmas tree ornament. These go together quickly and make great gifts! 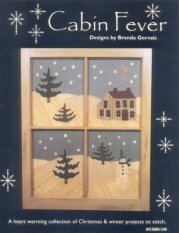 A great winter pattern! 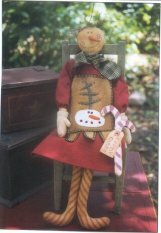 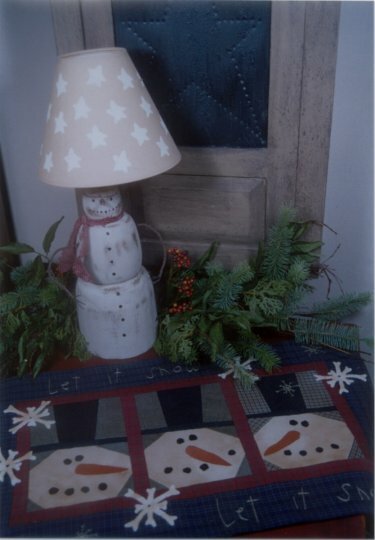 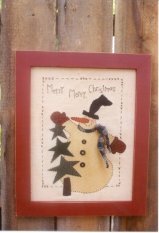 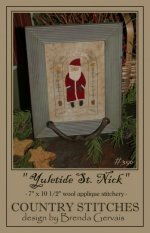 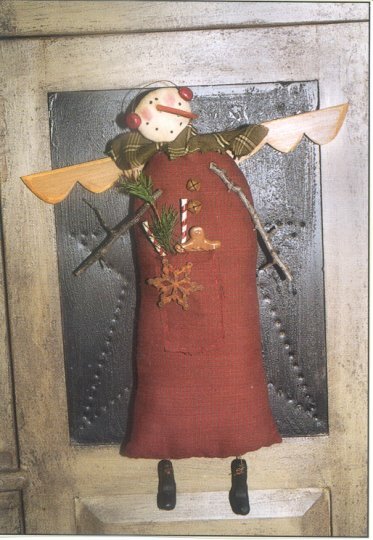 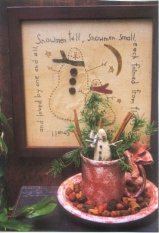 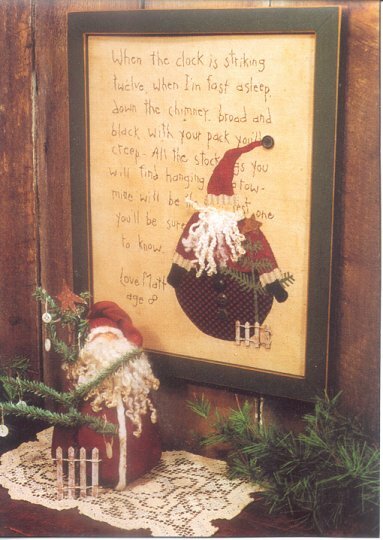 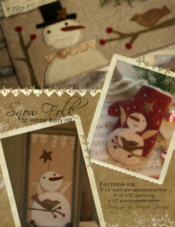 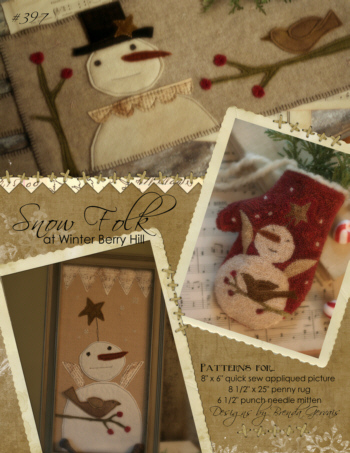 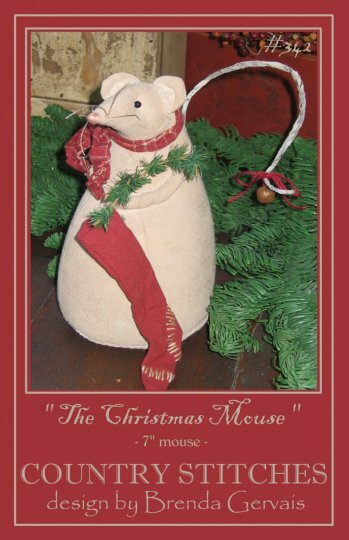 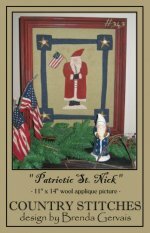 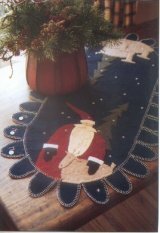 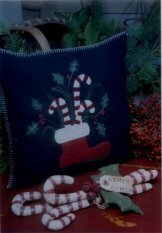 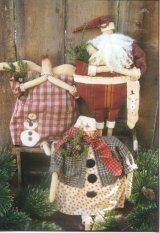 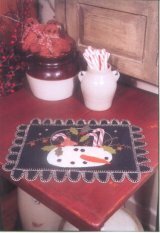 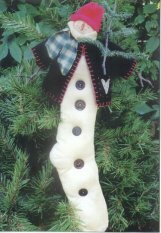 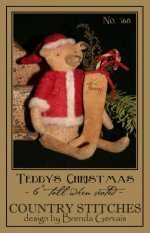 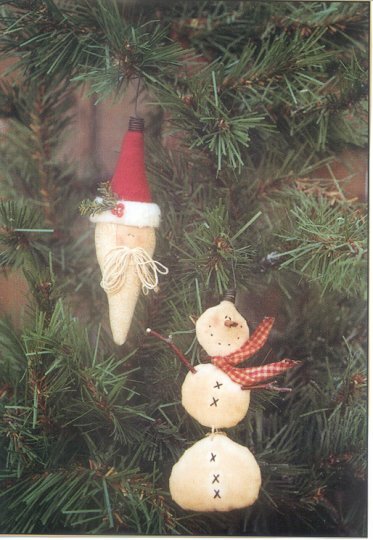 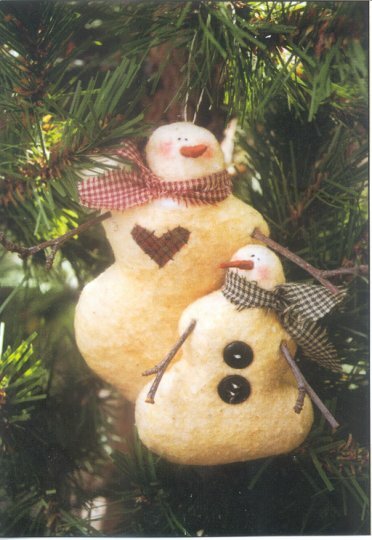 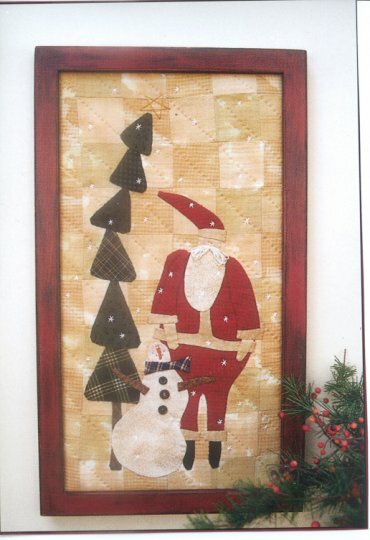 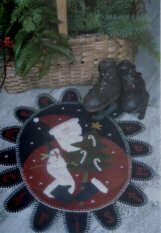 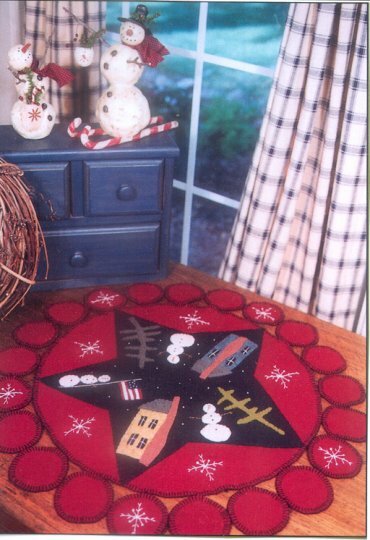 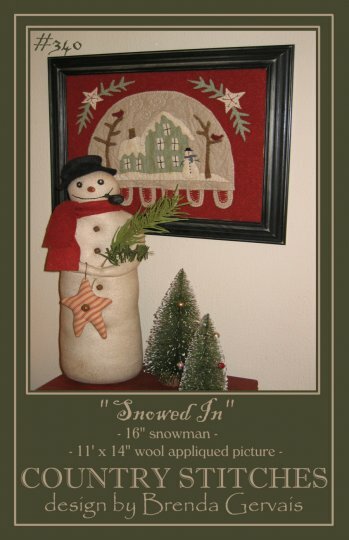 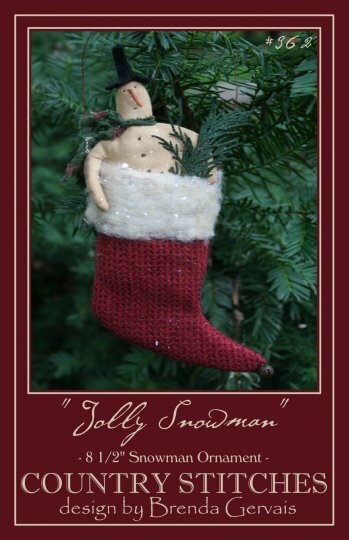 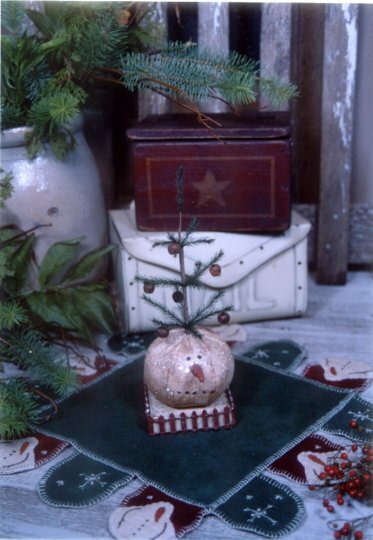 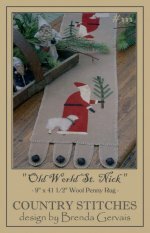 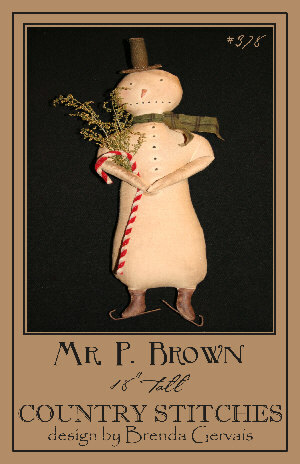 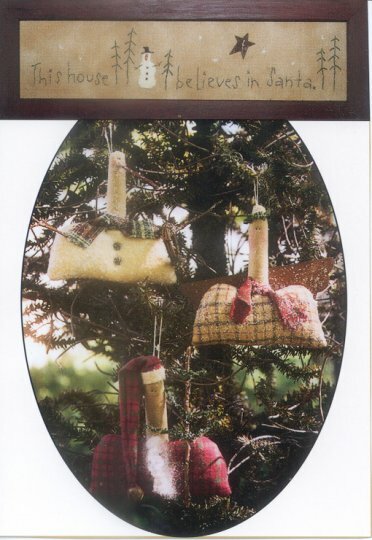 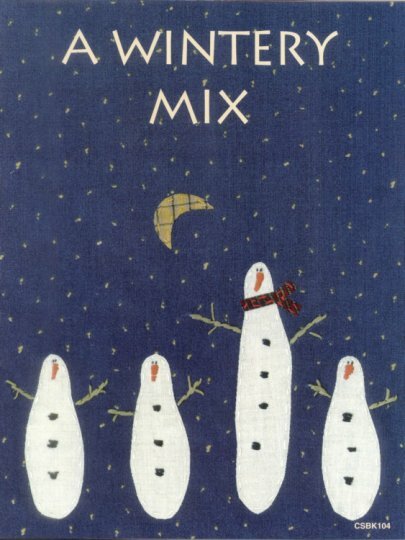 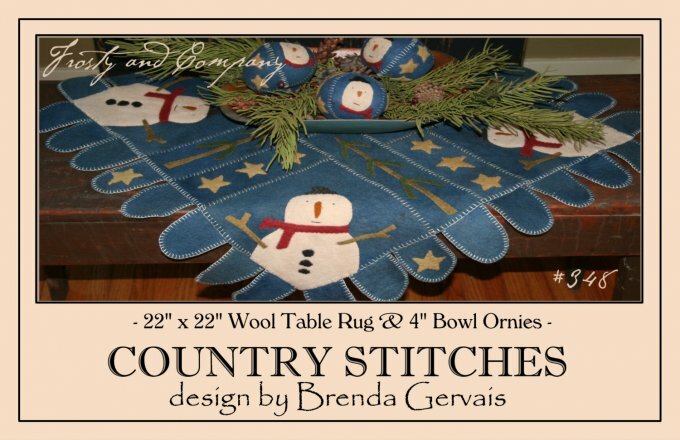 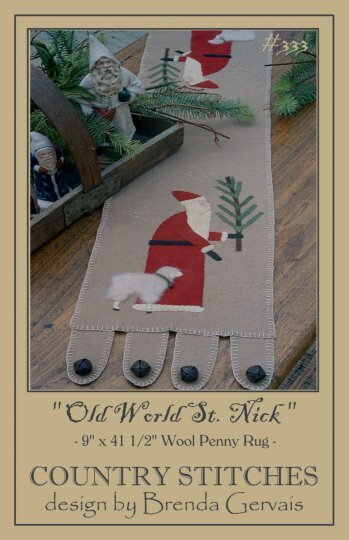 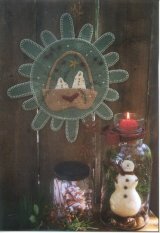 Pattern includes instructions for an 11" x 14" appliqued wool picture and a 16" wool snowman. 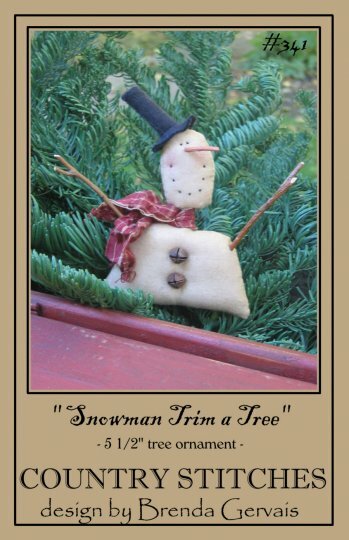 Pattern for a 19" snowman that will melt your heart. 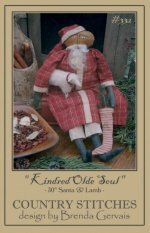 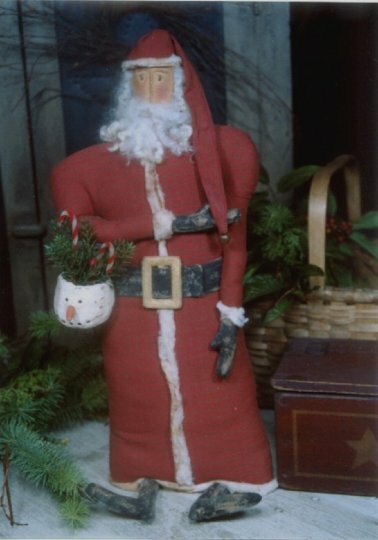 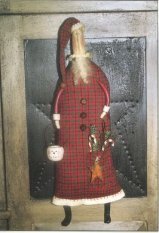 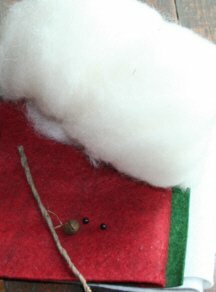 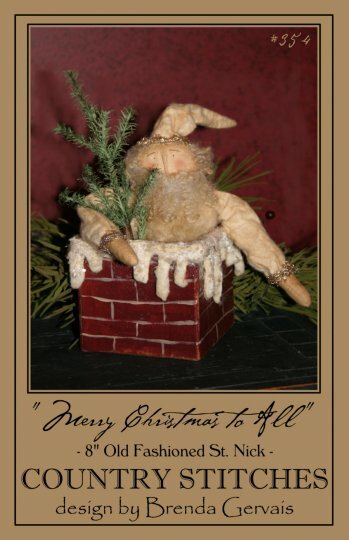 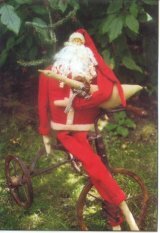 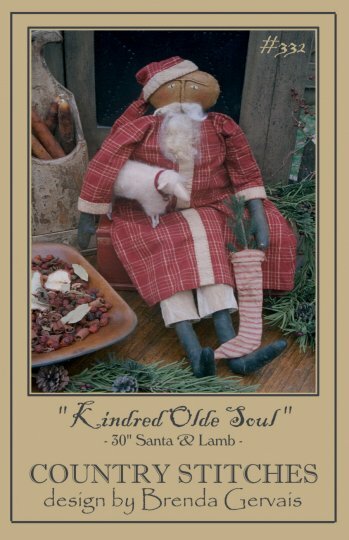 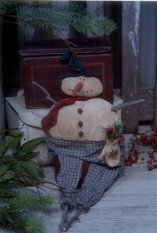 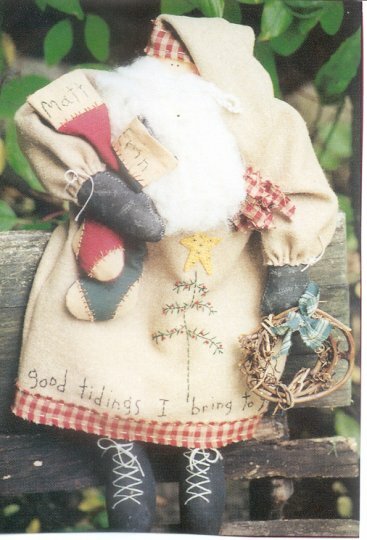 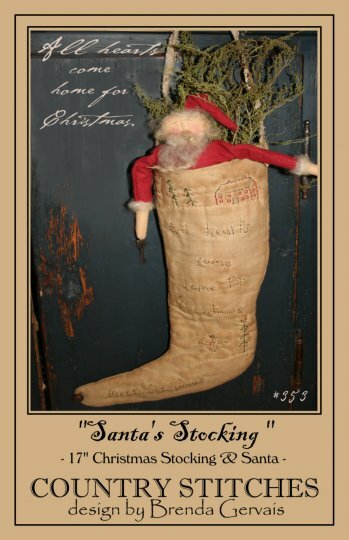 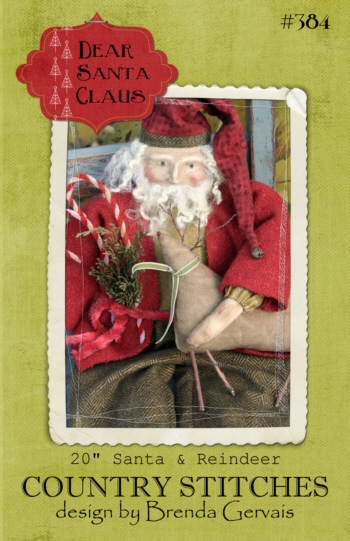 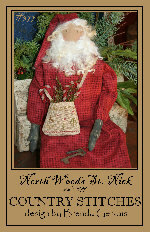 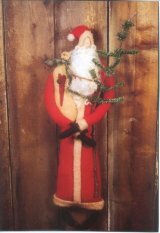 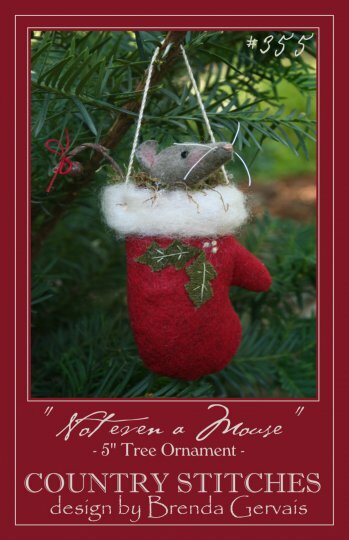 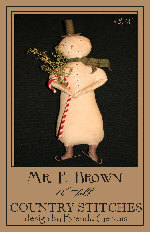 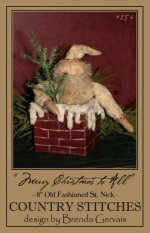 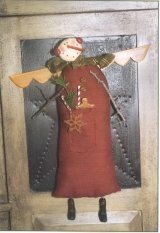 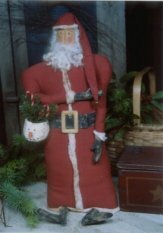 He is holding that old lost mitten and has it filled with rosehips and pine greenery. 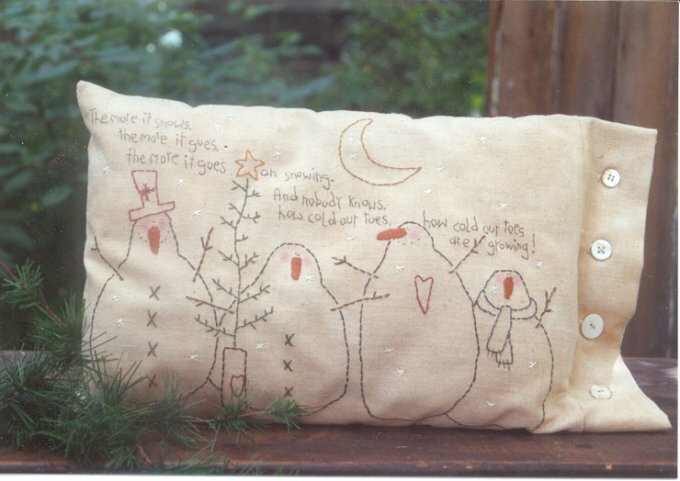 A quick and easy pattern to stitch up for your gift giving. 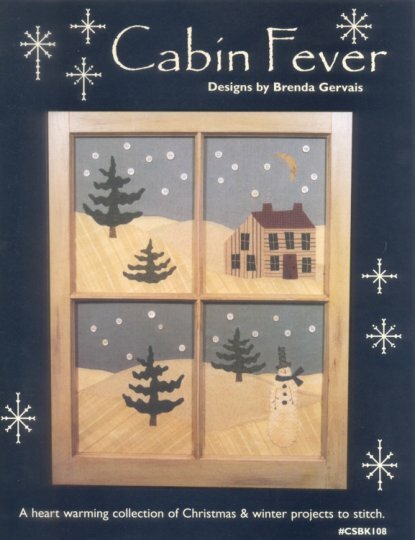 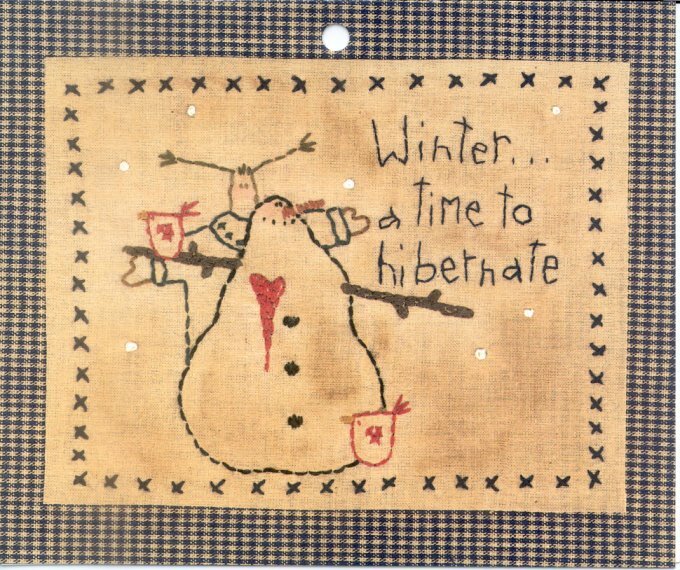 A book of 13 fun wintery projects. 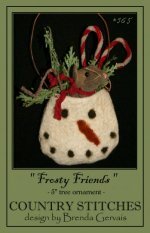 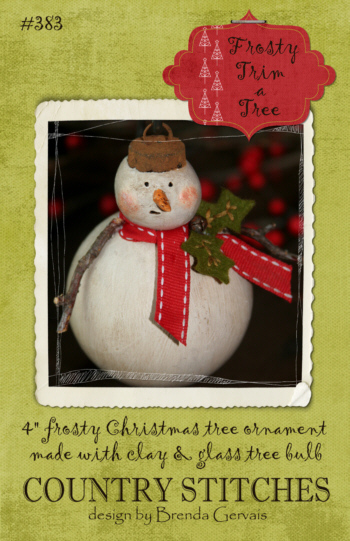 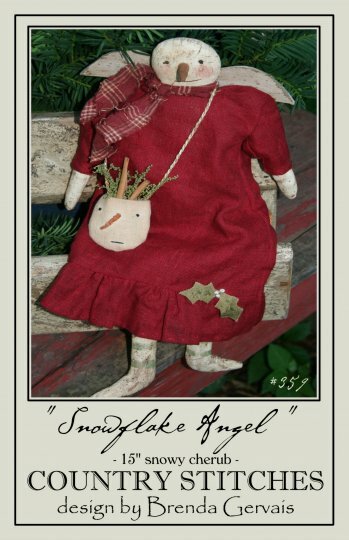 To name a few - snowman, santa, angel, ornaments, pillow and embroidery. 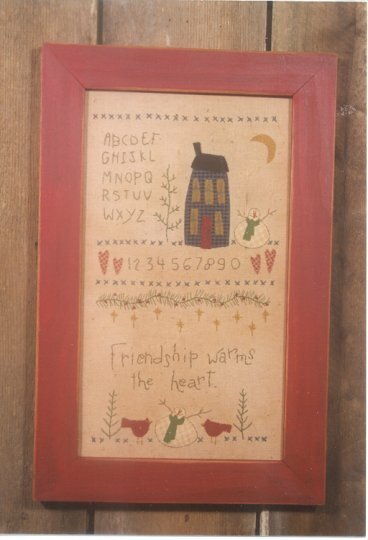 Pattern for an 11" x 14" embroidered picture. 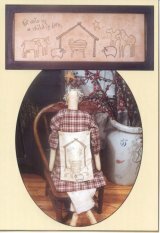 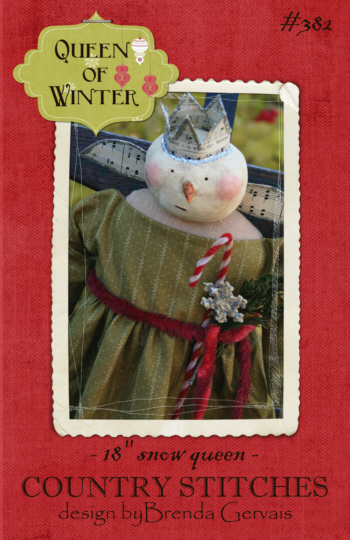 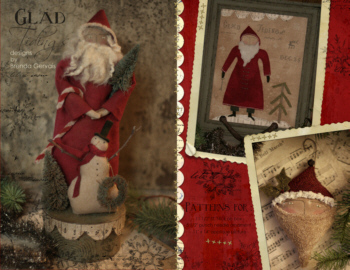 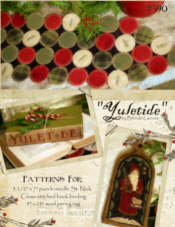 Pattern book loaded with great patterns for your Christmas and winter sewing. 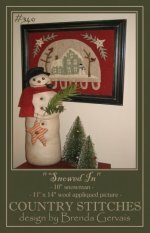 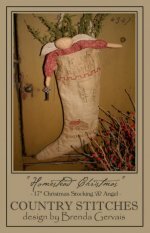 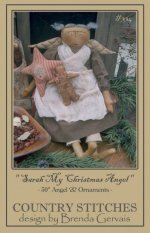 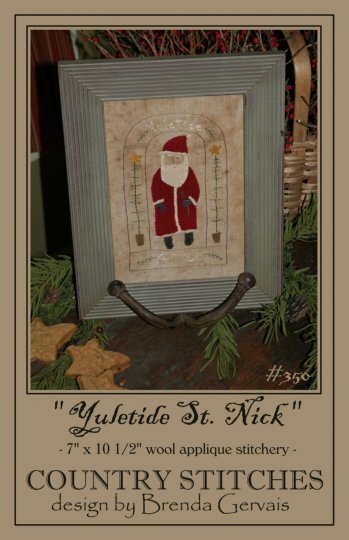 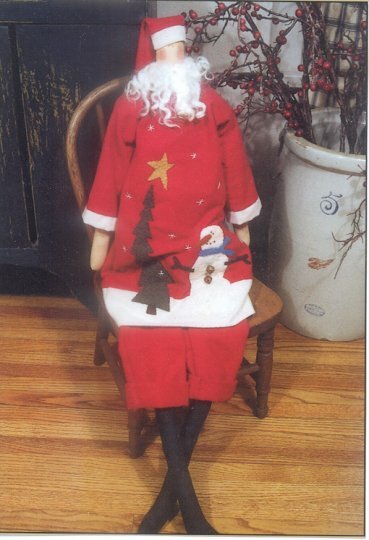 Includes, snowman doll and pillow, Santa, angel and Christmas tree pillow, tree ornaments and a wonderful winter picture framed in an old window casing. 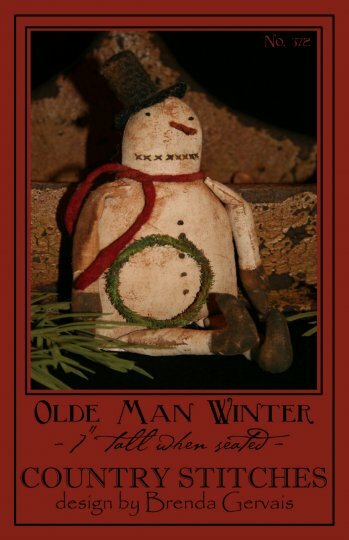 Great book - a must have! With the mix of embroidery stitches and homespun applique, this pattern is a real charm! When stitched it fits an 11" x 14" picture frame. Fun stitchery! 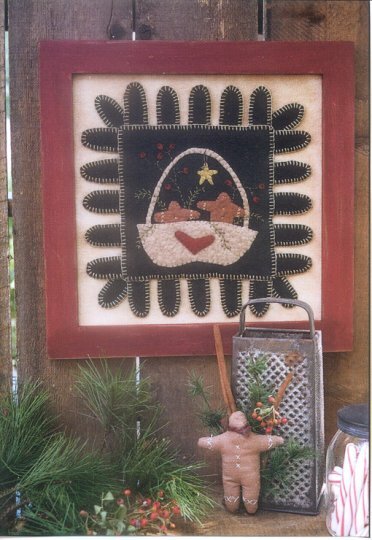 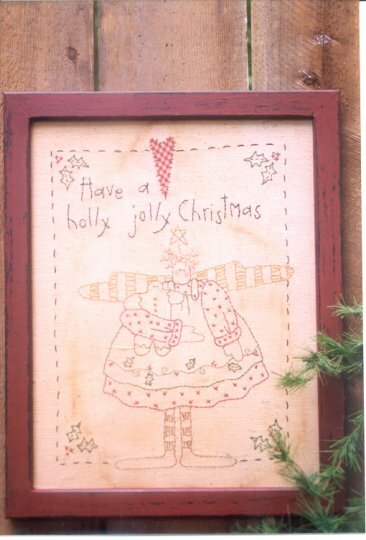 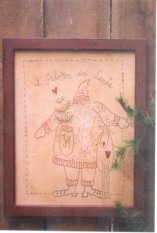 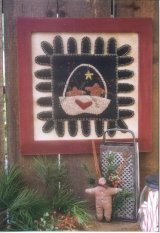 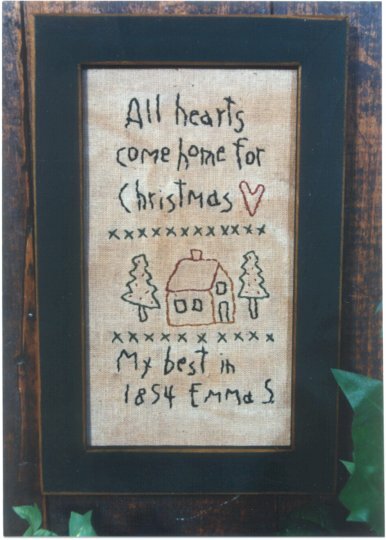 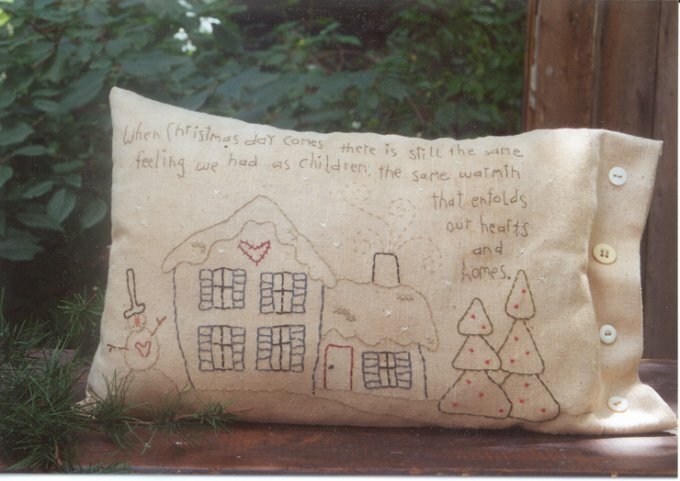 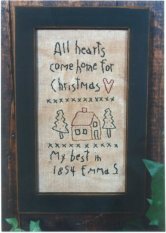 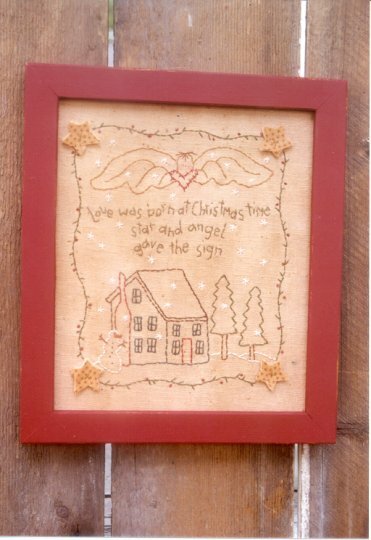 This 8" x 9 1/2" Christmas stitchery reminds us that the true gift of Christmas is love. 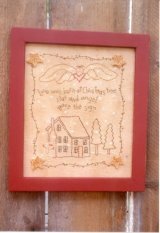 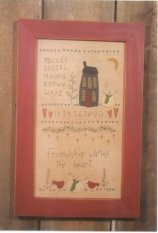 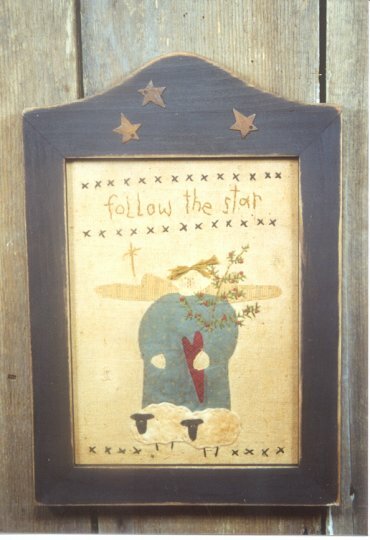 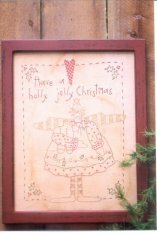 This stitchery when framed up will make a wonderful gift for that special friend.